The Armada Collection Navy Four Drawer chest is ideal for children's bedrooms. 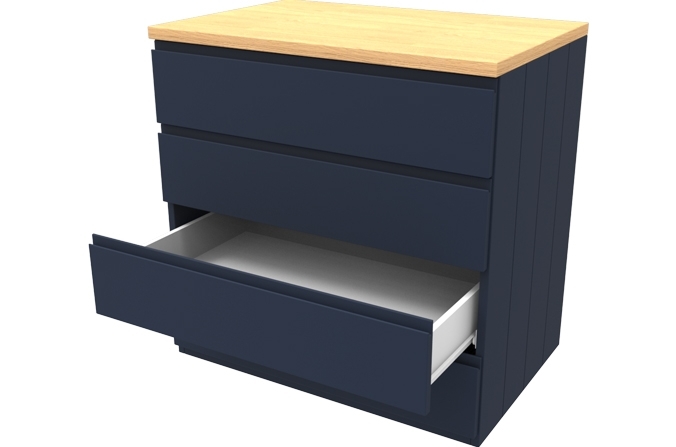 Four deep set drawers set on metal easy glide runners maximise the space in a bedroom by providing ample storage space for clothes and other items. The hidden handles and flat panels on this bed create a smooth and sleek look. The beautiful oak laminate top on this unit creates an ideal place for placing a drink or other items. Painted Midnight Blue to match other Armada Grey Furniture. Armada Navy Four Drawer Chest. 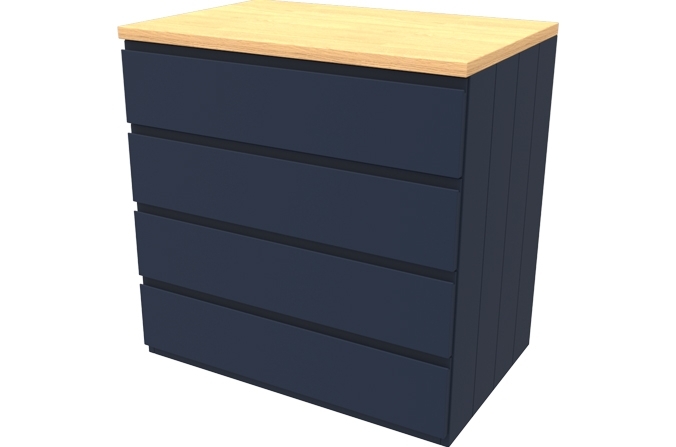 Four deep set drawers set on easy glide runners, perfect for storing clothes. Matches other items in the Armada range. Made from moisture resistant composite board and painted Midnight Blue.